Saturday, January 22nd, receive 40% off select reg. 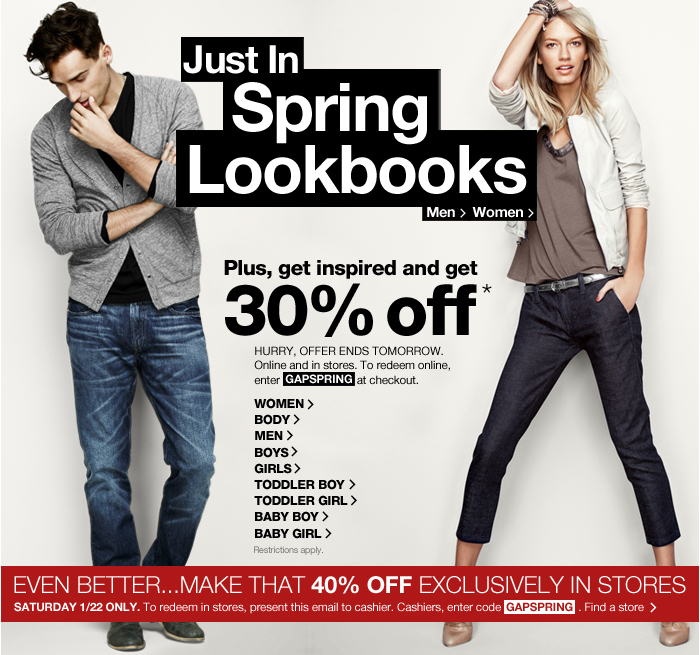 priced Spring 2011 merchandise in all Gap stores. This includes Gap Women, Men, Gap Kids, Baby Gap, and Gap Body (plus Maternity). Print this coupon or mention "GapSpring" at the register. *If shopping online, use "GAPSPRING" at checkout to receive 30% off.